Peterson BMW can help with tires. No one know how to care for your BMW better than Peterson BMW. No one knows how to care for your BMW better than the experts at your center. Certified Service mechanics and technicians know your vehicle inside and out. When it comes to parts, including tires, your center understands that the right components provide superb performance and handling for the highest quality standards. Trust them to have the right tires when you need them. Help ensure a safe, comfortable ride with a set of BMW recommended tires. 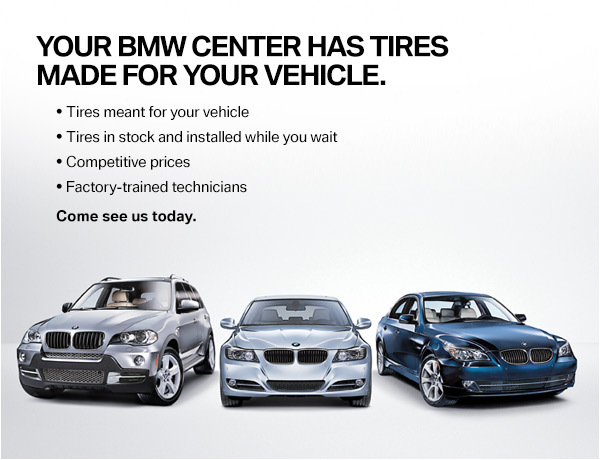 Let us help you with your tires, call Peterson BMW Parts for more information: 208.378.5980.